Everyone thought this was just a bogus rumor earlier in the week, everyone in the media said this fight was impossible and that The Sun were full of it for originally running the rumor that got everyone talking, but this new video featuring Floyd Mayweather himself tells a different story. Floyd Mayweather confirmed, late last night, that he is in negotiatoins with Conor McGregor to face him in a boxing match. Conor McGregor’s response to this news was to tweet out an unofficial, yet very well-made fight poster. 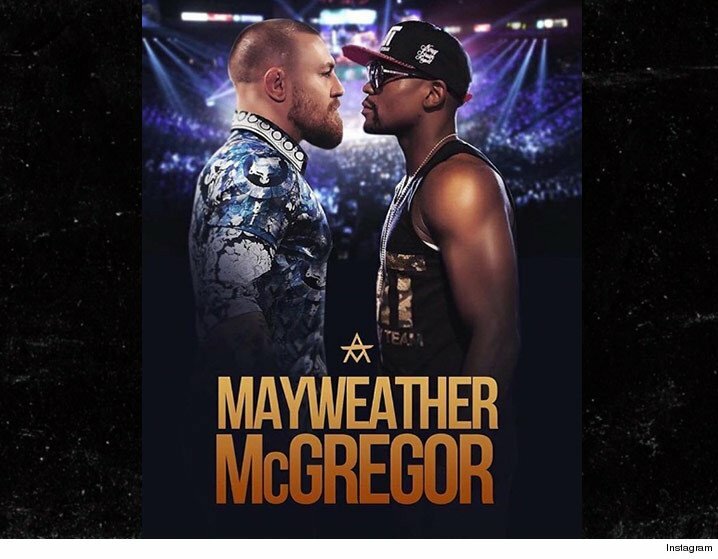 This shows us that chances are this poster isn’t just a knee-jerk response to Floyd’s comments, but a confirmation that there have been on-going talks behind the scenes prior to Floyd confirming the rumor that these two want to fight each other.